Craig Hall and Kathryn Walt Hall recount their twenty-year climb from amateur winemakers to recipients of an elusive perfect score from Robert Parker's Wine Advocate. The Halls launched themselves head first into Napa Valley 20 years ago with the purchase of their first vineyard and never looked back. Since then, their critically acclaimed HALL Wines and WALT Wines have become fixtures of the California wine industry, winning numerous accolades including now, two coveted 100-point "perfect scores." New York Times Bestseller A PERFECT SCORE weaves a vibrant tale of the HALL brand's rise to success, Napa Valley's tug-of-war between localism and tourism, and the evolving nature of the wine industry as a whole. 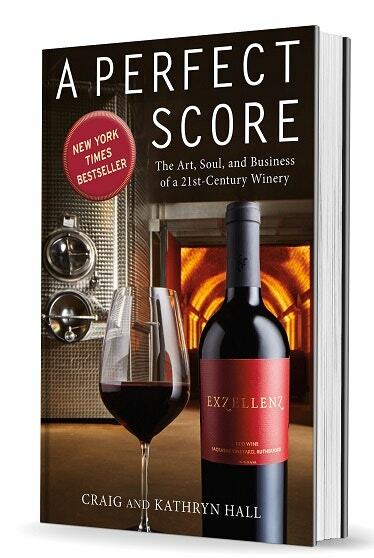 Readers who love a good glass of wine will find much to savor in the Halls' expert account of the art, soul, and business of a modern winery. 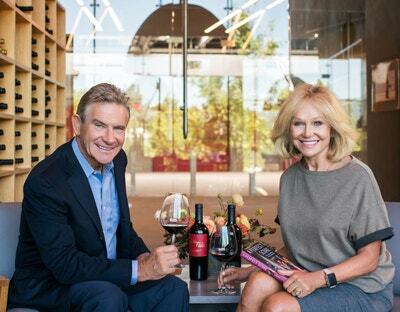 CRAIG AND KATHRYN HALL are the owners of HALL and WALT Wines. Craig is also chairman and founder of Dallas-based HALL Group. Craig’s distinguished career in business and as a 5-time author, civic leader, and philanthropist reflects the highest qualities of entrepreneurship. KATHRYN HALL has been involved in the California wine industry since her family first purchased a vineyard in 1972. She has had a distinguished career as a successful businesswoman, lawyer, community activist, and as the United States Ambassador to Austria. Feeling like you deserve VIP treatment, exclusive wine discounts and more? join the club. Let me know about Cabernet from HALL Wines.